Panama Canal cruises offer an opportunity to experience two vast oceans as well as transiting one of the world’s modern marvels: the Panama Canal. While the canal is just 77 kilometres long, it divides two continents and changed the face of the shipping and cruising industries. Finding a passageway from the Atlantic to the Pacific was a dream for hundreds of years, ever since the 16th century when the King of Spain sent explorers to determine if they could find a route over the mountains and through the jungle. It was impossible, but the Spanish weren’t the last to try. In the 1880s, the French started to build a canal in Panama but corruption and graft were the death knells of the project. It wasn’t until the United States got involved in the early 1900s that the Panama Canal had a chance of becoming a reality. Construction began in 1904 and was completed 10 years later. It was an amazing technological feat for the time and is still a place that’s revered by engineers and anyone that appreciates ingenuity. Depending on the Panama canal cruise itinerary you pick, you can experience ports in the Caribbean (some cruise lines like Holland America even call on their own private islands), Costa Rica, Panama, Guatemala, Colombia, and Mexico. While you’ll find Panama Canal cruises scheduled throughout the year, most embarkations occur between October and April. Note that rainy season runs from March through the end of November but you’ll encounter beautiful weather in December. 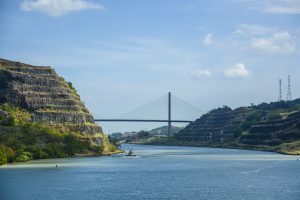 Nearly every cruise line offers Panama Canal cruises, especially since it’s an ideal way to reposition their ships when the Caribbean and Mexico cruise seasons are over. 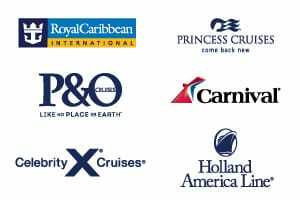 Look for voyages by Carnival Cruises, Celebrity Cruises, Cunard Cruises, Disney Cruises, Holland America, Norwegian Cruise Line, Oceania Cruises, Princess Cruises, Regent Seven Seas Cruises, Royal Caribbean Cruises and Seabourn Cruises. 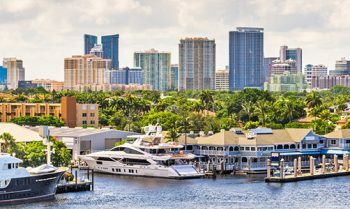 Many Panama Canal cruises begin (or end) in a Florida port like Fort Lauderdale, Miami, or Tampa and debark on the West Coast in a city like Los Angeles, San Diego, Seattle in the United States or Vancouver, Canada. 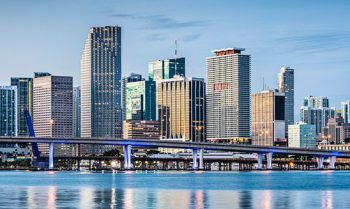 Depending on your flight connections, it takes 19 or more hours to fly from Sydney to Seattle and at least 21 hours to fly to Fort Lauderdale. There are three different types of Panama Canal cruises from which to choose. Here’s a synopsis of each so you can determine which is the best match for your interests. The Panama Canal is called the “Crossroads of the World” and with good reason. 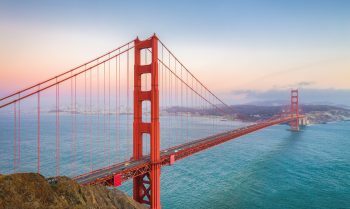 It’s the 48-mile funnel through which every ship must pass to get from the Atlantic Ocean to the Pacific and vice versa. When you think of Panama Canal cruises, you’re probably envisioning the classic voyage that makes a full transit of the canal system. It takes between 13 and 16 days to make the voyage. 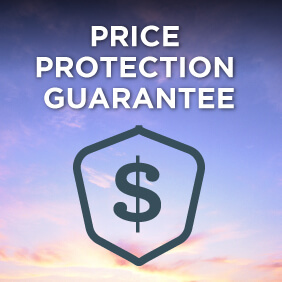 Some luxury lines schedule even longer options that range from 18 to 21 days. 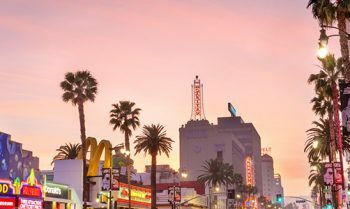 That’s why this particular itinerary generally draws an older, retired passenger complement. It can be tough for individuals that are still in the workforce to get that kind of time off from work. 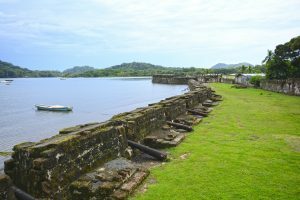 The main sights you’ll see include three locks, including Gatun on the Atlantic and Miraflores and Pedro Miguel on the Pacific. You’ll also visit the Gaillard Cut along the Continental Divide and Lake Gatun. If you don’t have two weeks to spend transiting the Panama Canal, consider a “partial crossing.” This is a voyage in which your ship will pass through one lock of the canal to give you an idea of what it’s like and then the ship turns around. This gives the cruiser a taste of the canal in conjunction with Panama ports. While these offerings are shorter in length, they pack in some additional calls in Central American cities on the return portion of the cruise. This is a great option if you really want to experience the Panama Canal but don’t have two or more weeks for the full transit. View partial crossings up to 11 days in length. Sometimes called “faux crossings,” these itineraries really focus on ports in Costa Rica and Central America but don’t actually transit any of the locks that make up the Panama Canal. Instead, the ship will visit Colon, Panama, and you’ll be able to take some shore excursions from that point that give you perspective on the canal without your ship actually going through it. These voyages can be terrific if you’re more interested in getting acquainted with the flora and fauna of Costa Rica and Central America and are less interested in the canal itself. But, remember, you’re traveling a long distance so you may want to have the complete experience and at least try a partial, if not full, transit of the Panama Canal. Panama Canal ports are surprisingly diverse. 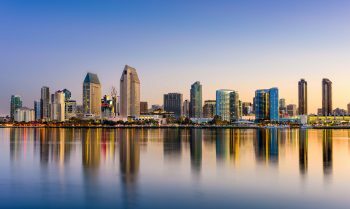 You can focus your attention on the canal’s locks and engineering marvels, the natural flora and fauna of Central America, or peer into the region’s history by visiting cities that witnessed the Spanish colonial era. Chances are, you’ll need to book several Panama Canal cruises in order to see and do all that is on offer. Colon, Panama: This stop, the gateway to the Miraflores locks, may be on your itinerary, especially if you booked a partial transit. From this port you can take an excursion on a smaller boat to transit the remaining two locks of the canal. 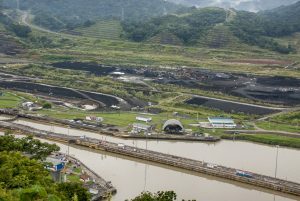 This could be a terrific solution if some travelers in your party want the full Panama Canal experience while others would rather a more port-intensive experience. There are a few additional shore excursions from Colon that are very compelling. Adventurers can hike through the rainforest at Gamboa to see sloths, take a canoe down the Chagres River to visit the Embera Indian Village, or ride the renovated Panama Railway—the first transcontinental railroad—from the Pacific to the Atlantic. Limon, Costa Rica: Nature lovers revel in all of Costa Rica’s port calls but Limon is a fantastic destination to explore. There are two national parks here that are worth your attention: Braulio Carrillo and Tortuguero. Braulio Carrillo’s claim to fame is its aerial tramway, the first in Central America. Here you’ll travel as high as 100 feet in the air, above the tree tops, so you can see the endemic birds, butterflies, and even monkeys that make this forest home. 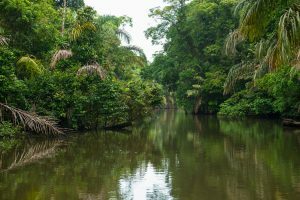 If you’re not good with heights, visit Tortuguero National Park instead where you’ll sightsee via boat on canals. Watch for crocodiles and tortoises as well as monkeys and a variety of bird species. Puntarenas, Costa Rica: Volcanoes are the main attraction in Puntarenas. You may have heard of the volcano called Arenal and, yes, it’s still active. You can visit the slopes of Arenal via a tour at Tabacon Resort Hot Springs. Excursions also visit Poas volcano, which is unique in that its crater is filled with crystalline blue water. It’s a breathtaking sight. For those who haven’t gotten enough of Costa Rica’s rainforests, head to Pura Vida Gardens or visit the cloud forest at Villa Blanca where there is always a blanket of clouds right at forest’s canopy. 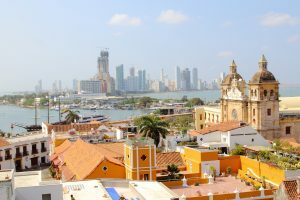 Cartagena, Colombia: Cartagena is an incredibly popular port because of its duality: there’s the lovely Old Town with Plaza de Bolivar at its center, but the city at large also has a vibrant resort vibe. There’s something to keep all types busy in Cartagena. Visit 16th- and 17th-century forts, churches, and palaces within the walled town or indulge in a trip to the beach (it’s just 8 kilometres from port to La Boquilla) or book a snorkeling or diving tour. Puerto Quetzal, Guatemala: For historians, Puerto Quetzal stuns with access to the colonial city of Antigua. This UNESCO World Heritage Site is comprised of well-preserved Spanish Baroque architecture. It was the capital of the Kingdom of Guatemala. From this port you can visit another volcano (Pacaya), head to a working coffee plantation, or go to Lake Atitlan.